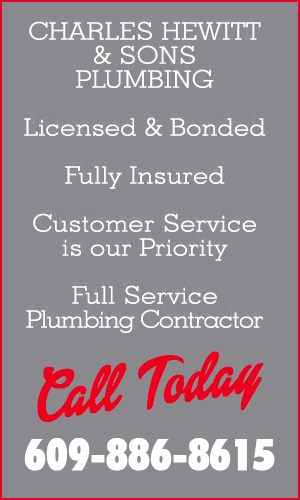 Hewitt Plumbing is a fully licensed, bonded & insured, full service plumbing contractor serving the Cape May County area. 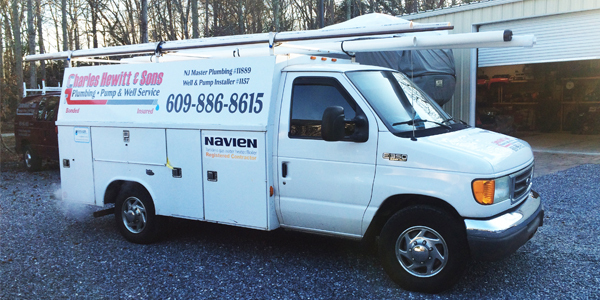 Founded in 2007 by lifelong Cape May resident Charles Hewitt, Hewitt Plumbing specializes in all areas of the plumbing trade for both residential and commercial applications. Charles has over 30 years experience in residential & commercial plumbing and has been a member with Local 322 Plumber & PipeFitters since 2001. Having served as a superintendent of a large South Jersey Plumbing Company, Charles supervised over 30+ plumbers on multiple projects from single custom family homes to multi-family housing units. If experience and the know how to get the job done are what you are looking for, Charles Hewitt Plumbing and Son’s is the right choice for all your plumbing needs.